Choose everyone’s favorite compact crossover SUV when you pick up a new Toyota RAV4 at Toyota Santa Monica. The 2019 Toyota RAV4 gives you capable performance for your commutes through the Los Angeles region, and impressive towing capabilities for your weekend adventures! What’s more, the Toyota RAV4 interior ensures you’ll actually enjoy your drive on our infamous highways. Browse our available new Toyota RAV4 models, and then call us at 424-231-6982 once you have chosen your favorite one. Our inventory of RAV4 models allows you to browse by RAV4 color options and often includes silver RAV4 models, purple RAV4 models, and many more eye-catching options! If you’re searching for something more sophisticated, why not consider a Toyota RAV4 in black? 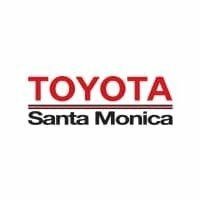 If you’ve wondered, “Where can I find a new Toyota RAV4 for sale near me?” then you’ve got to come to Toyota Santa Monica. Our customers love us as much as we love them — and it’s no accident. Our finance experts and service technicians ensure you have a happy car dealership experience from your initial vehicle purchase to routine maintenance down the road. We’re more than just your source for critically acclaimed vehicles like the 2018 Toyota RAV4 — we’re your resource for all things cars in the Los Angeles region.